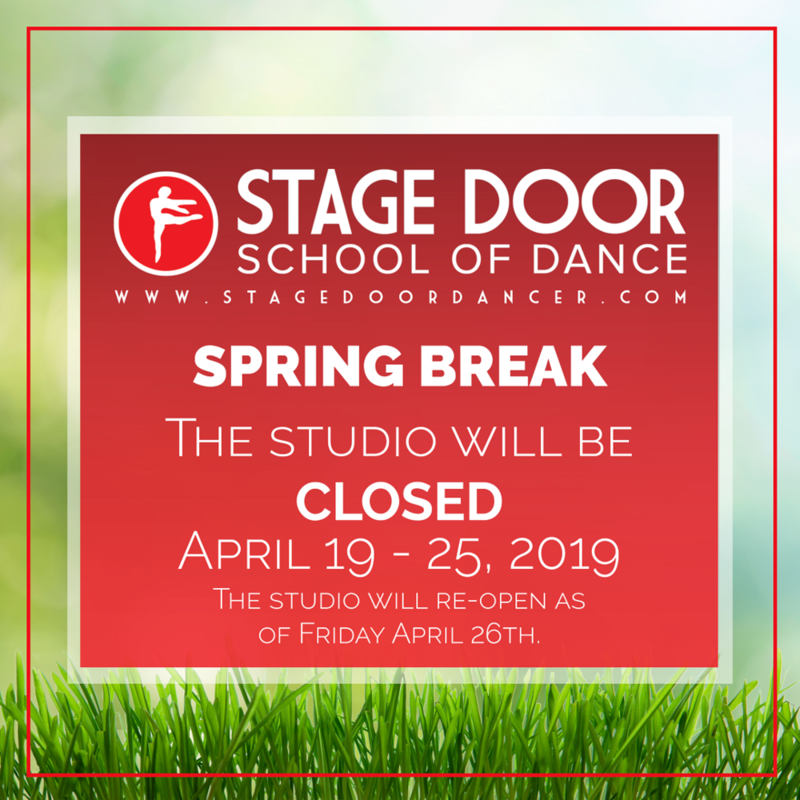 It's time to get out there to enjoy the fresh air, dancers and families, because the STUDIO WILL BE CLOSED FOR SPRING BREAK from APRIL 19 - 25, 2019. We look forward to seeing you all back in the studio as of April 26th, where we will dive deep into our final classes before the June recital. Wishing a Happy Passover and a Happy Easter to all of our SDSD families who celebrate. Enjoy the break and well-deserved time off, everyone!